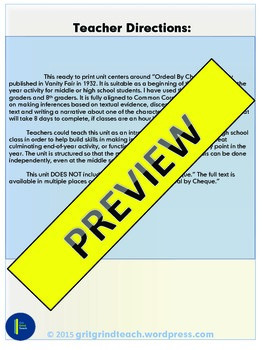 This ready to print unit centers around “Ordeal By Cheque,” a story published in Vanity Fair in 1932. It is suitable as a beginning of the year or end of the year activity for middle or high school students. 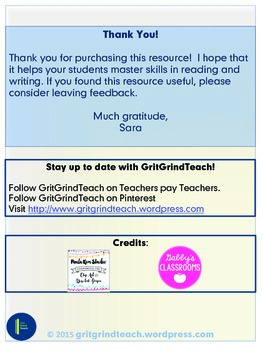 I have used this resource with 6th graders and 8th graders. 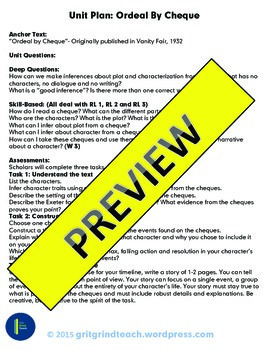 It is fully aligned to Common Core Standards, and focuses on making inferences based on textual evidence, discerning important events in a text and writing a narrative about one of the characters. The unit includes 3 tasks that will take 8 days to complete, if classes are an hour long. Teachers could teach this unit as an introductory unit in a middle or high school class in order to help build skills in making inferences. It could also be a great culminating end-of-year activity, or function as a stand-alone unit, at any point in the year. The unit is structured so that the majority of the work and analysis can be done independently, even at the middle school level. 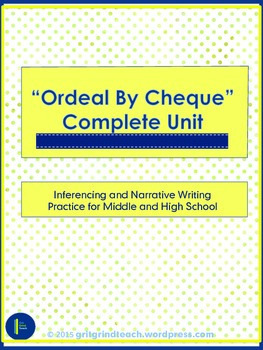 This unit DOES NOT include the text of “Ordeal by Cheque.” The full text is available in multiple places online. Simply search for “Ordeal by Cheque. If you do not wish to purchase the entire unit, individual lessons are available.